The term ‘Charnwood Bookkeeping’ or ‘us’ or ‘we’ refers to the owner of the website. The term ‘you’ refers to the user or viewer of our website. This Notice outlines the data protection policies and procedures we have adopted and to which we abide to ensure we are GDPR (The General Data Protection Regulations) compliant. The purpose of this Notice and any other documents referred to in it, is to clearly list and identify the legal requirements, procedures and rights which must be established when we obtain, process, transfer and/or store your personal data. This Notice will assist you in understanding the obligations, responsibilities and rights which arise from the Data Protection Laws. Data Controller: Johanna Finch trading as Charnwood Bookkeeping has determined the purposes for which, and the manner in which, your Personal Data is processed. The Data Controller has overall responsibility for compliance with the Data Protection Laws. Any questions about the operation of this Notice or any concerns that the Notice has not been followed should be referred in the first instance to Charnwood Bookkeeping at 23 Conway Drive, Shepshed, Leicestershire, LE12 9PP. Privacy Manager: Johanna Finch is the appointed officer who is responsible for awareness-raising, training staff and informing and advising the Data Controller, Data Processors and Data Users how to ensure compliance with the enactments, and to monitor that compliance. Johanna Finch can be contacted at the above address. the Enactments: The Data Protection Act 2018 (GDPR) will apply, which regulates the way in which all Personal Data is held and processed. The country to which your Personal Datashall be transferred ensures an adequate level of protection and can ensure your legal rights and freedoms. 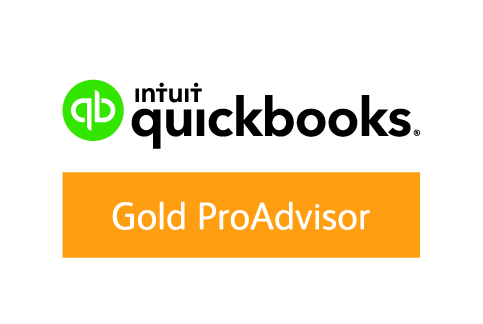 We use the following software provider to process electronic data, including personal data; Quickbooks Online Accountant, Xero, TaxFiler, HMRC Agent platform, Microsoft Sharepoint. These providers states that they are GDPR compliant and/or applies equivalent/adequate safeguards. We use secure external servers to process/store our electronic records, including your Personal Data which are maintained by Webhosting UK COM Ltd. There may also be situations in which it is necessary for us to disclose your Personal Data to other third parties, which include but are not limited to: Debt Collection Agengies. When responding to Personal Data requests we will provide the information upon your payment of an administrative fixed fee of £10. Once the GDPR comes into force, we will not be entitled to charge for the provision of your personal data, unless the requests are manifestly unfounded or excessive, particularly if it is repetitive in which case we may refuse to act on the request, or apply further fees to cover the associated administrative costs. 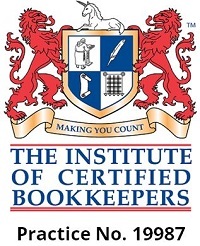 This website and its content is copyright of © Charnwood Bookkeeping 2018. All rights reserved. You may not, except with our express written permission, distribute or commercially exploit the content. Nor may you transmit it or store is in any other website or other form of electronic retrieval system.